Although the legal industry is not known for creative problem solving, law firms face the same challenges when it comes to disruption as other organisations. It is common for lawyers to feel obligated to make perfect solutions from the very beginning. But given we live in a world driven by the ever-changing needs of end users, does this approach still make sense? Design thinking is a human-centred approach to innovation and idea creation. It is a process, that when applied, can transform difficult organisational challenges into opportunities. Companies such as IBM, Nike, LEGO and Airbnb use Design Thinking to identify new product and service. 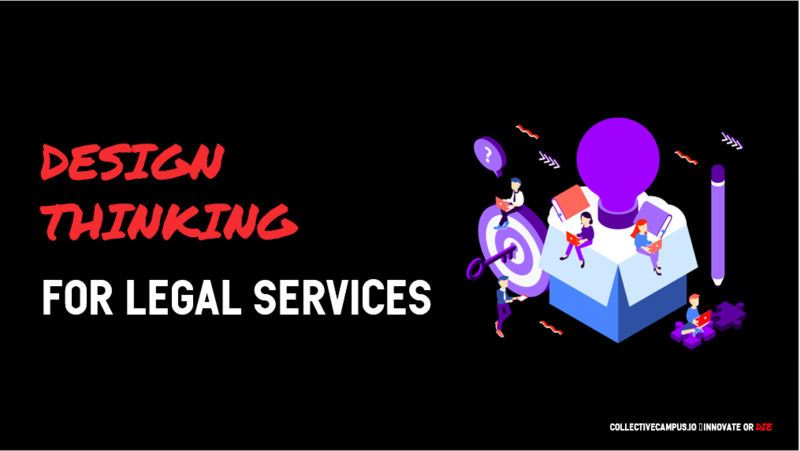 This eBook provides insight into why law firms find it difficult to innovate, how Design Thinking can be used at law firms to drive innovation and the law firms already leading the way in this human-centred approach. It is time to re-imagine legal services.